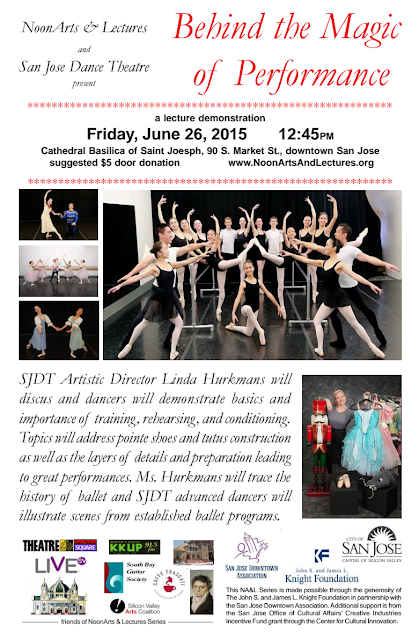 The San Jose Dance Theatre and NoonArts & Lectures will be doing a community performance at the Cathedral today from 12:45pm to 1:30pm. 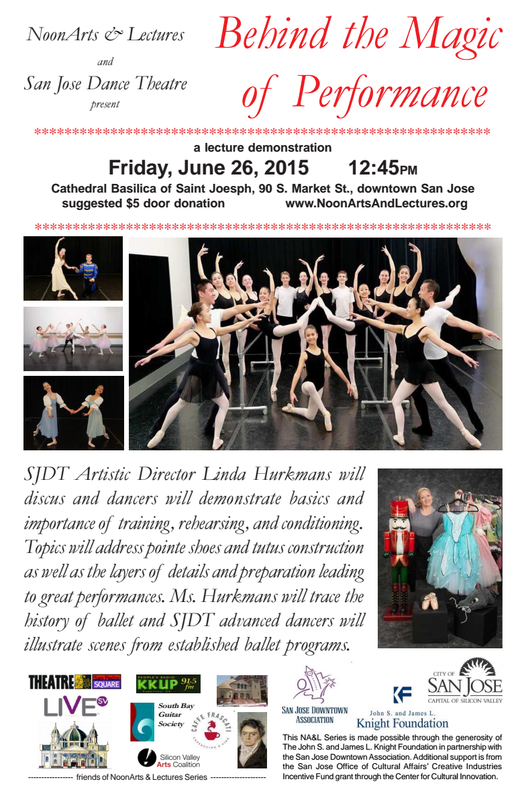 San Jose Dance Theatre is a non-profit, pre-professional dance company focused on providing performance opportunities and training to Silicon Valley youth. All of the details are on the flyer below (click to enlarge).